Today I'll be bringing you a Asking Canadians review where I'll be going over everything you need to know about them. As for Asking Canadians they are new to me so I thought I'd delve a little deeper to see if they are legit and pay out. So make sure to read until the end of the review to find out. So I am guessing your interested in making money through completing surveys and I can tell you your in the perfect place. Asking Canadians is survey panel first started up in 2005 targeting the Canadian demographic. They are owned by a company called Delvinia Interactive Inc. They are looking for Canadian consumers to offer opinions on big brands in Canada in return for rewards. For every survey you get through you will be offered a certain amount of points which are put towards the rewards on offer. I have actually to reviewed other panels for Canadian residents such as Legerweb and Loop Surveys, so feel free to check them out. As you may be able to tell already this panel is exclusive to people who reside in Canada only. Their seems to be no age requirement to sign up however you will need a parent or guardians permission to join if you are 16 years or under. Once you have become a member you will start receiving invites to surveys through your email. The amount you receive and they make sure to mention this does depend on your demographics. When you recieve an email you will be told how long a survey will take and the incentives for taking it before getting into it. Be wary that surveys on the site do go after some time so if you are to complete a survey your best of attempting it straightaway. 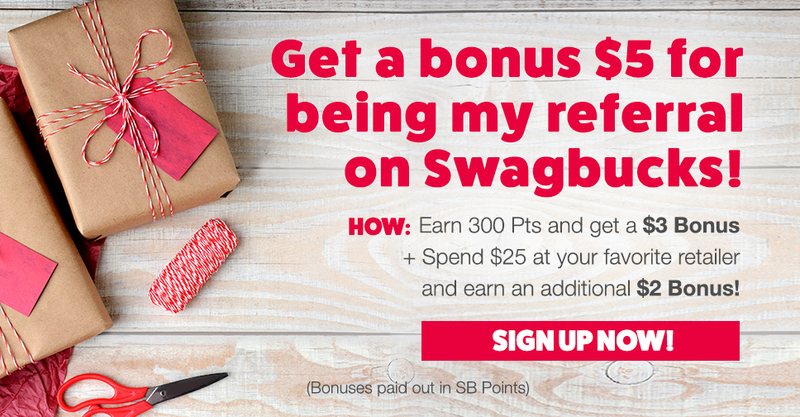 The site adopts a different type of points system where you can opt in for two different sets of points that will get you different rewards. You can choose AC points if you want Amazon Gift Cards, for the other set they are HBC points and can be used to redeem Aeromiles, Petro-Points and Via Rail. You can't use points for the other rewards so if you at first opt in for HBC points and start earning them you can redeem a Amazon voucher for example. However you can change the points you earn if you change your mind. The only way to make money is through completing surveys, you won't find any other ways to make money which is a shame as it does limit how much you can make. Many sites do offer a few other ways to make money such as a referral program where you have the opportunity to get paid to invite friends to the panel, unfortunately surveys are the only way. 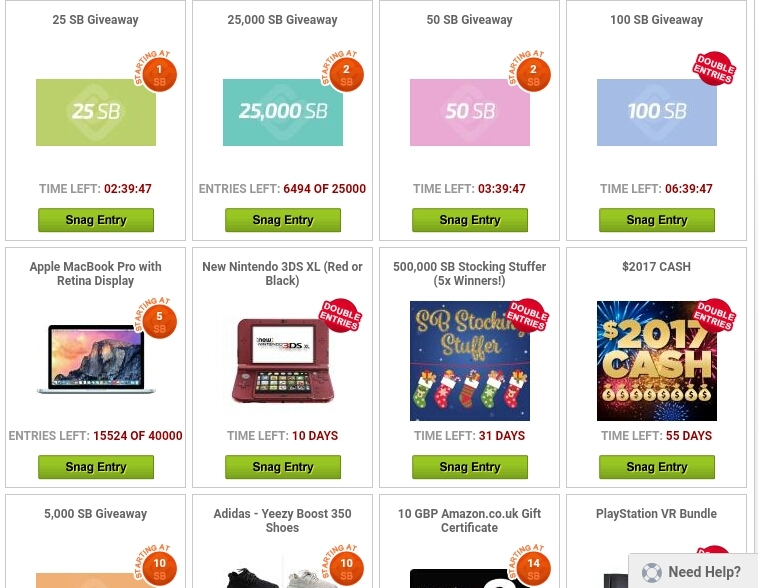 The amount of points you will need to withdraw depends on the reward, for Amazon vouchers the minimum threshold is $5 which equals 500 points. For the other rewards depending on the points you are receiving you will have your reward processed within 4 weeks. Once you have done a survey it can take up to 4 weeks for you to see your points balance updated on your Asking Canadians account. This is quite a long time to wait and is much higher time than other sites I have participated on. You will find that most will credit you straightaway when you complete a survey but it seems the procedure here works different and to be honest I'm not a fan of it. AskingCanadians isn't a scam and is a legitimate survey panel that many of its members are earning rewards from. To be honest as much as they do offer something its not anything special from what I have tried out. The opportunities are limited and the surveys are average, so you wont be making a great deal however it is survey site so I would never have high expectations and expect to make lots of money. All in all I would rather recommend other sites to you, the sites I have had success with offer surveys and many other ways such as inviting friends, watching TV, etc. So your not relying on one type of way to make money, this as been quite effective to me when making money online. 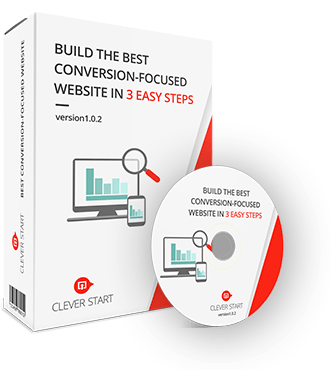 You can check out my recommended survey sites here that I have had the most success with, also feel free to check out my #1 recommendation here. What do you think to this panel? 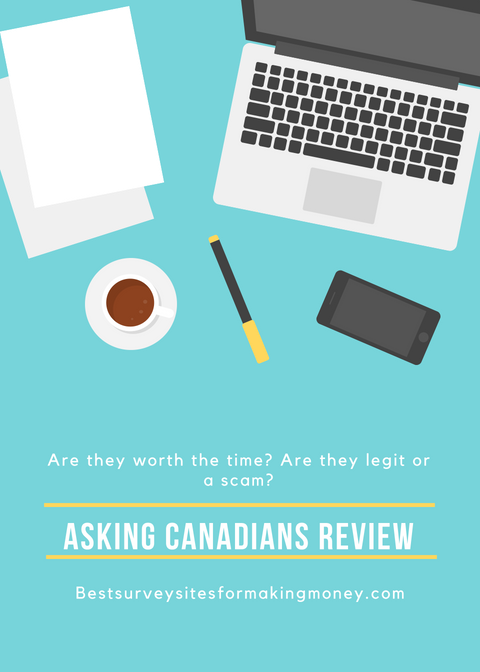 I hope this Asking Canadians review was of use to you and was helpful! Welcome to my Qbord Surveys review where in this post I'll be explaining how they work and whether or not they are a legitimate panel to start making money with. I have tried many survey sites and it does seem like this one as a few aspects you should know about if you are considering joining. If you want to know if Qbord is legit and stick by me as this review should hopefully cover all you need to know. If you are looking for a legitimate survey site that pays well and are tired of sites that are a waste of time then check out below. 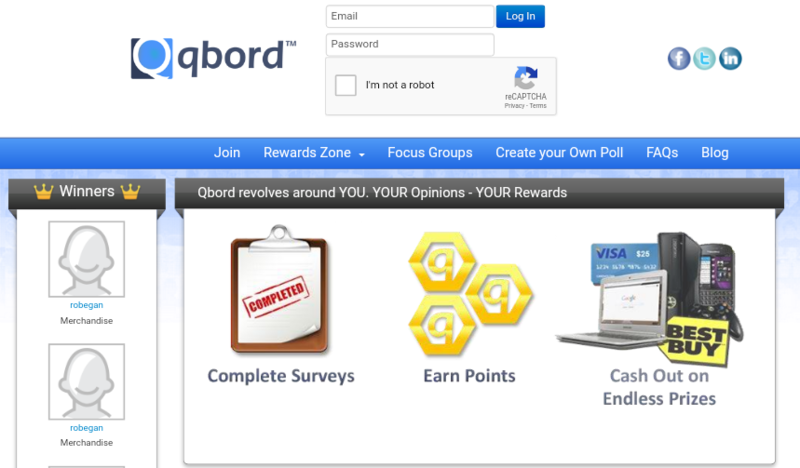 Qbord is an Canadian survey panel that is owned by a market research company called PMG Intelligence that pays people to give their thoughts and opinions in surveys. They are similar to Canadians panels such as Legerweb and Loop Surveys. The idea behind this panel and in general is that by taking part in surveys you can influence and help improve many Canadian company's products and services. For every survey you complete you will receive points, the amount of points you do earn does depend on the survey. Most surveys seem to pay within the region of 100 points though. Generally they take between 5-15 minutes to complete. There are also other ways to make money such as by taking part in focus groups, which can reward from $75 upwards. However you do have to be chosen in order to participate. The amount of points you need in order to cashout depends on the reward selection. For some gift cards you will need a minimum of 5000 points, these consist of Starbucks, Netflix, Google Play, McDonalds and some more. if you want cash you can receive Visa Pre-Paid Cards for 10,000 points which equals out at $25 once converted. What seems to be a fairly common complaint when it comes to survey sites is the low amount of surveys available. 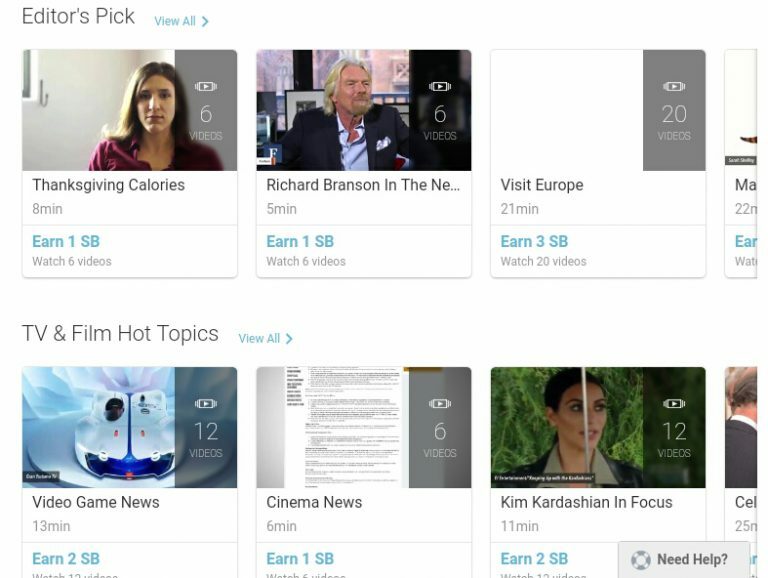 With Qbord you will need to be wary as alot of members have left complaints stating how they are struggling to earn points becuase they aren't getting surveys. This is definitely a concern as without surveys there aren't any other ways to earn points, unless you are invited to private study's. I can tell you that Qbord is legit however whether it is possible to make money is a difficult one as many people aren't receiving surveys. WIthout survey's it isn't possible to make money and the fact there isn't even a referral program means you have nothing to fall back on if you are stuck on a certain amount of points. This is why I tend to go for survey sites that offer more then just surveys as if you do run of surveys you have other things to do. These extra income sites are good examples of one that do offer many ways to earn rewards, so make sure to check them out to see if they are for you. What do you think to Qbord? Have any questions or opinions you would like to throw my way? LegerWeb Review – Do They Pay Out Or Simply Overhyped? 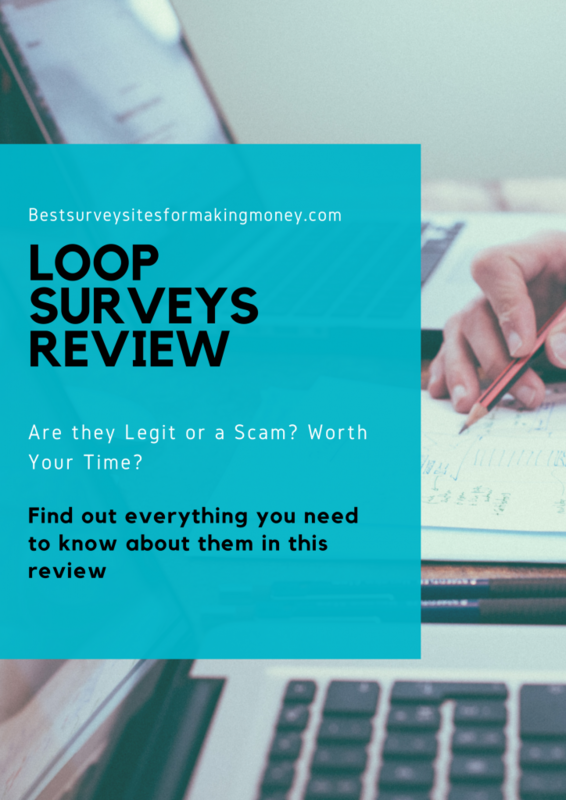 So Is Legerweb a scam, well today I’ll be answering this question and giving you all the information you need to know about the site in this Legerweb review I've got for you today. 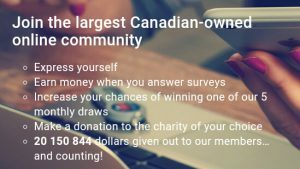 Legerweb Is a Survey panel that is located within Canada that offers their members with many different types of surveys in exchange for rewards. While only being exclusive to Canadian and US residents this is one of the largest survey panels in Canada providing surveys to many people. The survey panel as been around since 2004 and as over 400’000 members registered to the site. Just so you know I am not eligible for the survey site being in the UK but I decided to make an account to see if it’s a genuine opportunity to make money online. Legerweb is a survey site that pays Canadian residents to complete surveys on various topics. Legerweb is one of Canada's biggest survey panels and has paid out over 20 million dollars to their members since they founded. When you first go to the site you will be greeted with a sign-up form to complete which takes around a couple of minutes. After every survey, you complete you will be awarded a certain amount of cash or air miles. With every survey, you complete you also receive some chances of winning the monthly prize draw. A number of chances you receive varies from survey to survey. Legerweb will also let you know of any new and updated surveys that have become available to you through email. They send you survey invites on almost everything. While I don’t take surveys on the site because I’m from the UK I have still received surveys on things such as Fast Food restaurants, Sports, general interests and many others. How Many Survey Invites Can You Expect To Receive? You receive a fair amount of invites to surveys on a regular basis. On the site, they do have many profile surveys which are supposed to increase your survey invitations. On average I receive one invitation a day so I can only imagine that completing profile surveys could only increase that amount. It is also possible to get invited to focus groups from time to time which will also pay you money to complete special surveys. 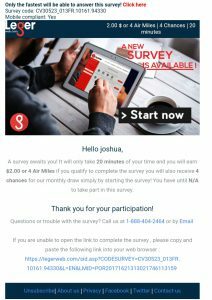 How Well Do The Surveys Pay? Going from the survey invites that I’ve received the majority of them have offered $1, $2 and $3 a survey, which is good considering what other survey sites pay for each survey. When Can You Request A Payout? 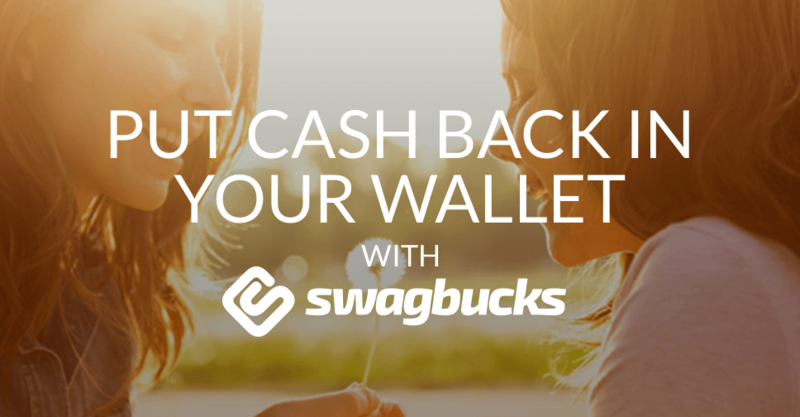 You are able to request a payout once you’ve hit $20. You can only process payments in instalments of $20, so if you have $40 instead of requesting a payout for the whole lot you will need to do 2 separate requests of $20. Rewards are sent after they are verified, this can take up to 72 hours. After it has been verified either a cheque will be sent in the mail or air miles or a charity donation will be deposited/donated. LegerWeb shows promise as it seems like a genuine survey site to make some money. If I was eligible for the surveys I would give it a go. So if you’re from the US or Canada this could be a good earning opportunity for you so feel free to try them out here. I have to say Legerweb looks like a solid site for earning cash, especially if your a Canadian resident. I don't normally like sites with high thresholds but because they have high paying and easy to qualify for surveys it kind of makes up for it. Now one of the main reasons I started up this site was to find high paying reward sites that I can show you that payout while at the same time reviewing survey sites that aren’t good and don’t payout aswell as others or at all. What I’ve found from reviewing hundreds of survey sites is that there are some that do payout well. One of which is the main survey site I recommend simply because they offer more opportunities and pay much better then anyone else in the industry.